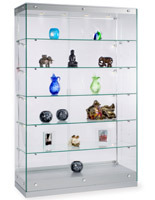 Looking to showcase your collection of prized possessions? 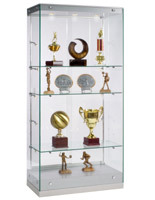 These floor standing trophy cases are excellent for displaying memorabilia in office, school, and home environments. 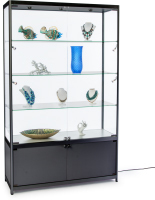 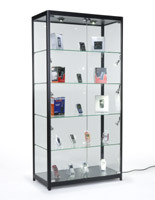 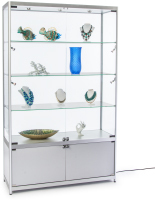 Each award cabinet features tempered glass panels that create high visibility presentations. 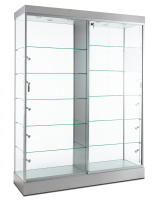 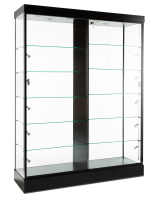 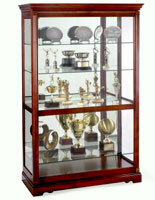 We offer both modern and traditional trophy cases to accommodate a variety of décor. 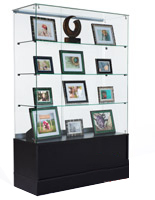 Frameless showcases for sports memorabilia have a modern appearance that's ideal for matching contemporary furniture. 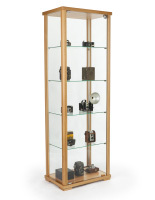 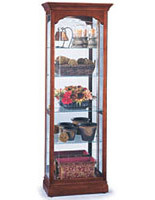 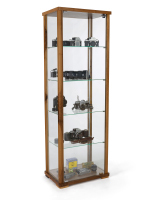 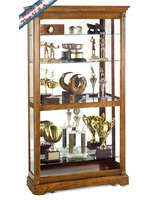 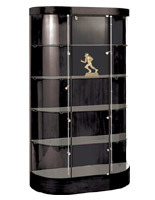 Wooden trophy cases are classically designed to feature medals and curios with distinction. 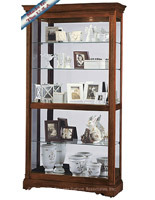 Recognize your awards with an attractive display of your choice. 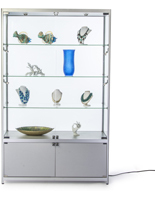 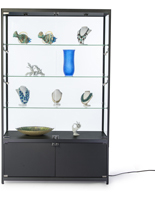 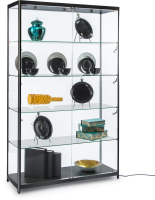 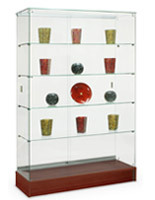 What features make these glass cabinets great for featuring prized collections? 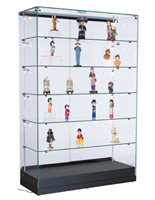 Our floor standing trophy cases feature high visibility display areas that make keepsakes stand out. 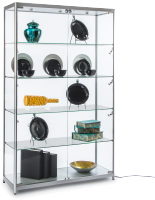 Each unit makes their contents easy to see with tempered glass panels, doors, and shelves to make their contents easy to see. 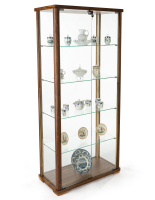 Traditional wooden cabinets often include mirrored backs to see cups and medals from all angles. 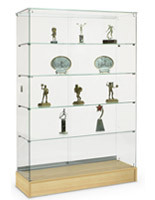 Award cases with locking doors are excellent for securing treasured items in public areas. 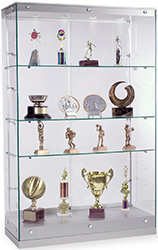 When placed in office lobbies and school hallways, these glass displays protect trophies from theft and vandalism. 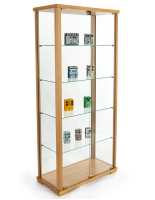 The locking doors with clear panels combine high visibility and security, perfect for valuable memorabilia. 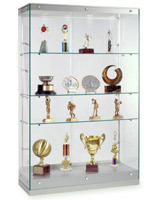 Trophy cabinets with lighting shine a spotlight on awards with top and side mounted lights. 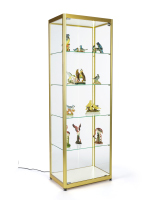 This is ideal for illuminating mementos from multiple angles for a captivating appearance. 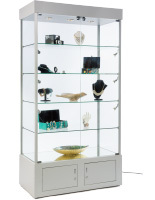 We sell models with halogen bulbs as well as showcases with energy efficient LEDs. 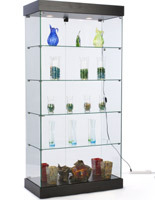 The former option has a lower initial cost but light emitting diodes will save money in power bills over time. 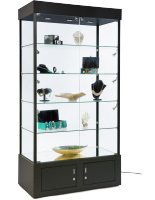 Browse floor standing and wall mounted cases and counters with lights for more illuminated display options. 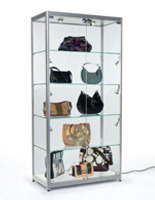 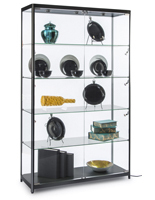 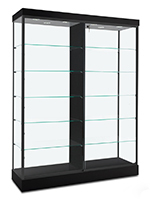 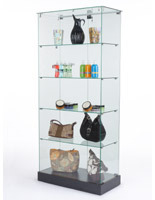 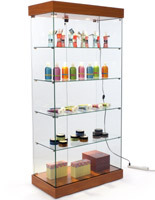 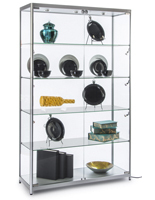 Glass award cases with adjustable shelves are great for featuring mementos of any size. 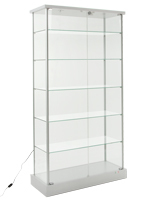 This is especially useful for large cups that may be too tall to fit otherwise. 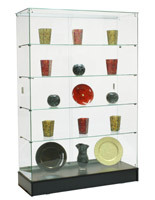 Choose models with adjustable shelving for adaptability when it comes to displaying school or company honors. 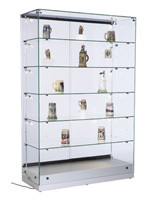 Our cabinets for medals and cups are offered in two distinct styles: modern and traditional. 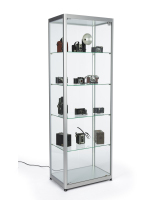 Contemporary displays feature memorabilia with a neutral presentation that's ideal for office lobbies, high school hallways, and college facilities. 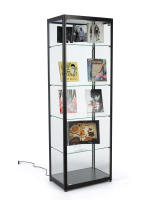 This style includes showcases with neutral black and silver finish frames that go with modern décor. 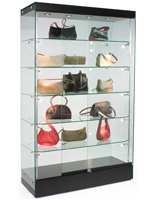 Frameless fixtures offer more visibility and have a sleeker design. 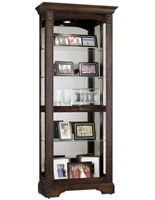 These have neutral finish bases as well as faux wood color options. 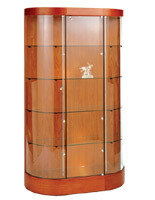 The traditional wooden medal floor stands have a much more classic appearance. 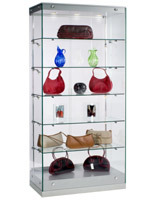 This style is suited for upscale locations like sports clubs, equestrian parks, and upscale schools. 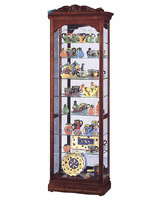 These classically designed fixtures are made of solid wood with cherry, oak, and brown finishes to match traditional style décor.